I'm a multitasker who is constantly on the go. I call my mind organised chaos as I always have a million things to do. I want to work and at the same time write. I want to dance and at the same time paint. I want to listen to music and at the same time make a planner. I always have a hundred things running on my mind and I find that this keeps me active and energized. I'm not a very big fan of tablets or phone pads. I find it really difficult to type on touch screens. I need a chic and sleek technology partner by my side, to enable and empower the multitasker in me. Since more than half of Bangalore is Wi-fi enabled now, all I need is an amazing device that I can carry around in my bag and connect anywhere. It needs to be light and yet powerful. And most importantly, it should come at a decent price and be worth it. I had it narrowed down to two choices. The sleek and powerful ASUS EeeBook X205TA or the ultra-portable and perpetually connected ASUS All In One PC ET2040. Based on the requirements of my lifestyle, the ASUS EeeBook X205TA is my choice. To start off with, it looks so chic and classy. Available in four vibrant colors; dark blue, red, gold and white, the Eeebook definitely looks outstanding and sophisticated. The red one is my choice, as it would go with almost every outfit of mine and looks powerful. With a screen size of 29.4 cms, it weighs less than a kilo gram and fits in perfectly in any tote of mine. 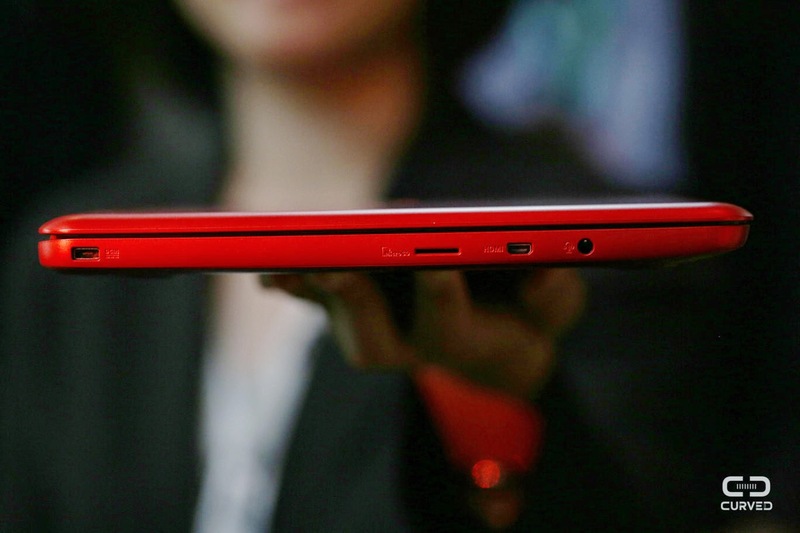 The best part is, it is super sleek and really light. The light weight makes it the dream gadget for on the go computing. Measuring a thickness of only 1.75 cm, this EeeBook is almost as thin as your phone and you can carry it around like you are carrying a tablet. It has a Quad core processor which enables me to open as many windows and tabs as I want, to manage my work as well as my writing needs. The display is a narrow bezel design that reduces the width of screen-joining borders, giving a wonderful viewing experience. Its touch pad is 36% larger than the conventional laptops making it easier for you to move your cursor. This intuitive touch pad is integrated with smart gesture technology to enable effective multi-touch. Empowered with Windows 8.1, the ASUS EeeBook is smart in every possible way. The Microsoft Office 365 subscription is included in it with a one year subscription giving me access to all my work mails, any time and any where. Its great battery life allows 11 hours of video playing, 12 hours of web browsing and 13 hours of music playing. This notebook comes with a 2-cell battery that is equipped to provide up to 12 hours of battery life so that your work is never interrupted. The ASUS EeeBook offers up to 500 GB of web storage, which is free for two years and 1 Tb of online storage onto the Microsoft Onedrive, that is free for a whole year. This enables me to have all my documents, photos, music and movies at one place without having to bother about running out of space. Designed with streamlined curves and a tactile finish, this notebook offers a premium feel with all the essentials in it. ASUS has even designed the adapter to be compact and this one can easily be slid into your pocket. The Eeebook comes with a one year free subscription to full versions of Microsoft Word, Excel, Outlook, Powerpoint, Access, Publisher and OneNote. 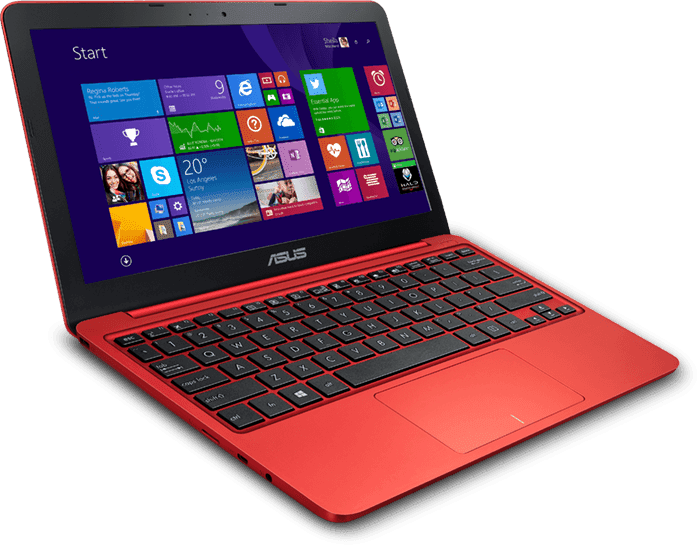 The device is powered by a 1.33 GHz Intel Atom quad-core processor with Intel Burst Technology up to 1.83 GHz to handle your everyday computing and the 2 GB DDR3 system memory facilitates smoother performance. This notebook is fan less and is designed to produce lesser noise so that you can work in peace. The notebook is designed with two front-facing speakers placed under the palm rest, that delivers premium quality immersive sound, making music a wonderful experience to listen to on the gadget. The micro SD card slot provided allows you to expand the storage up to 128 GB. With the fine-tuned display settings and parameters, the Asus Splendid technology ensures crisp and vibrant visuals, making all that you watch feel life-like and real. All these features make this the most desired notebook within its price range. Priced at under 15,000 this one is totally worth the price and the experience. This post is written as an entry for Indi Happy Hours - Go Sleek! activity in association with Indiblogger and ASUS.